Falun Gong practitioners in Bangalore, India got together on the occasion of Master's birthday and World Falun Dafa Day on May 13th, 2012. 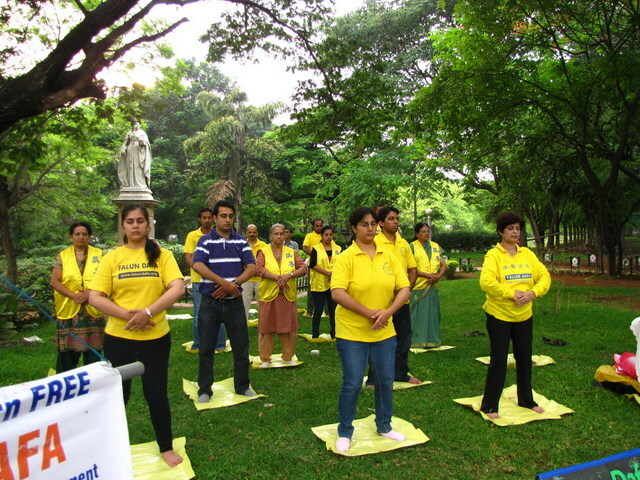 They started the day with doing the Falun Dafa exercises at the regular practise site at Cubbon Park early in the morning. The practitioners then introduced the practice and exposed the persecution in China by handing out flyers to passersby. 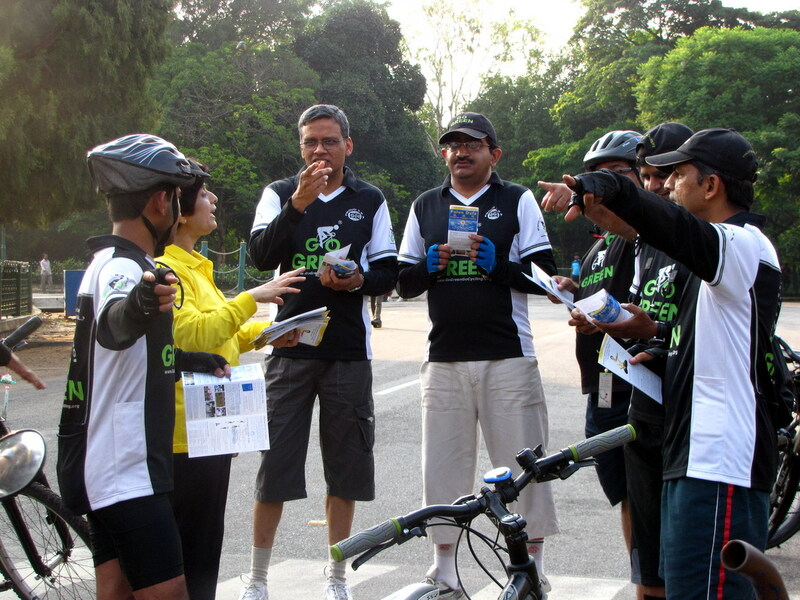 The practitioners had the opportunity to clarify the truth to a cycling expedition group called "Go Green Group" which happened to pass by the practise site. After talking with the practitioners, cyclists from this group said that they would help more people know about the practise of Falun Dafa. Practitioners continued the day with group Fa study at a practitioner's home. 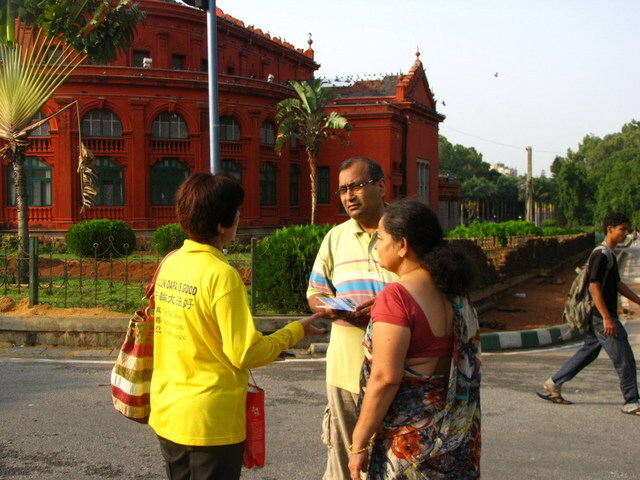 In the evening they again went to Cubbon Park and talked to more people about Falun Dafa. The media showed a lot of interest in the event and called up in advance to learn about the celebration. Reporters from several newspapers covered the event. Several people who learned about the practise said that they wanted to learn Falun Gong. People were keen to read the big truth-clarification banners. One lady in particular showed a great deal of interest and said that she felt wonderful standing at the truth-clarification site. She was amazed that the practise was free to learn. In the end she said, "I know this practise is very good. I can feel it." The practitioners felt completely free of extraneous thought and at one while demonstrating the exercises together. 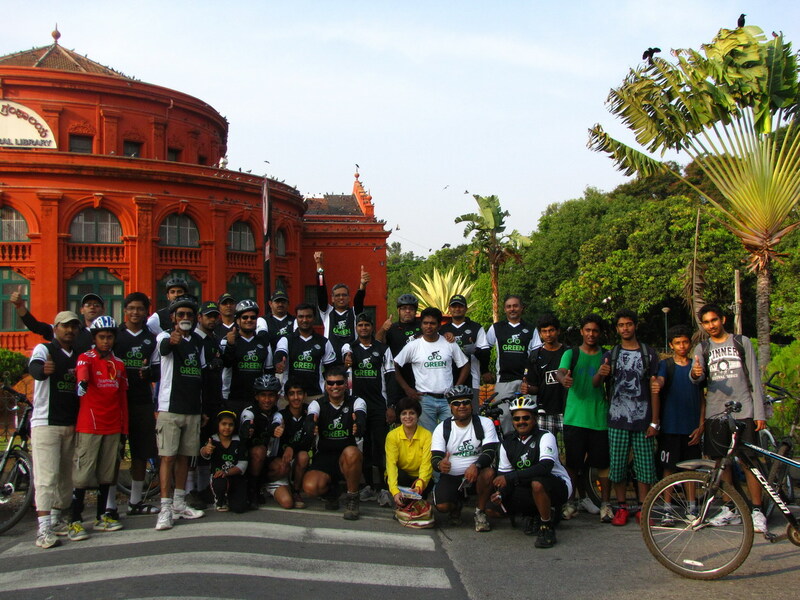 Practitioners from India wish Benevolent Master a very Happy Birthday.